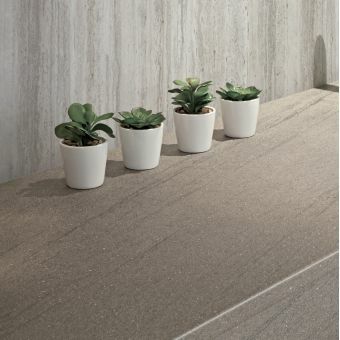 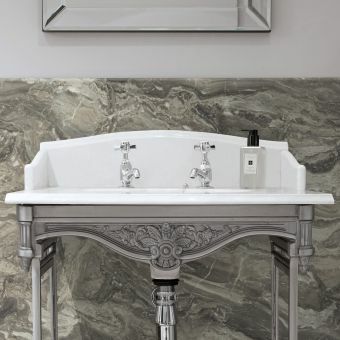 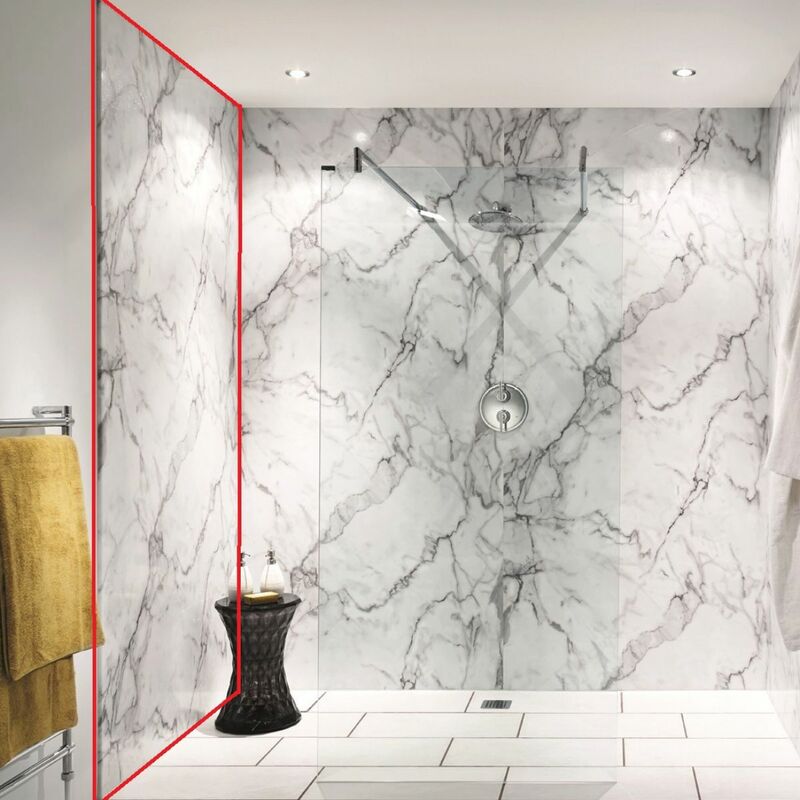 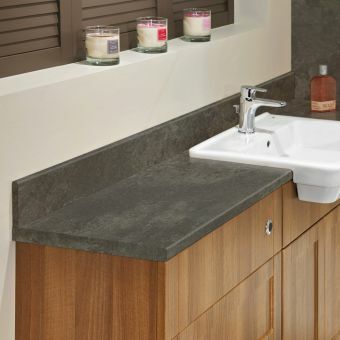 Bushboard Nuance is a luxury range of 100% waterproof shower bathroom panelling. 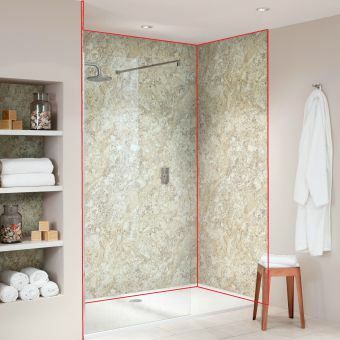 Not only can it be used to create a waterproof space for showering but it can be used anywhere in the bathroom or elsewhere around the home! 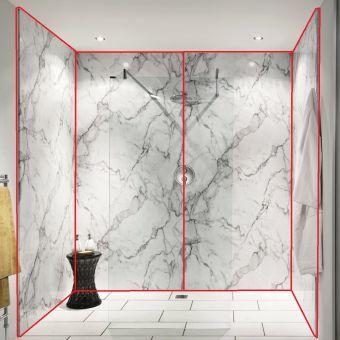 It is a modern, deluxe alternative to tiling. 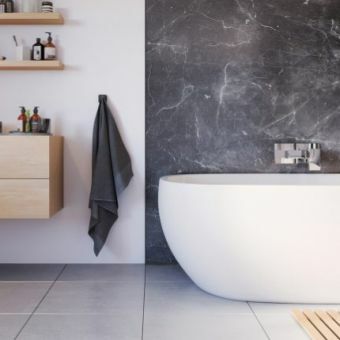 Nuance is an installers dream come true as it is simple and quick to install, and will please you for years to come with its timeless, stunning range of finishes with individual textures and hues. 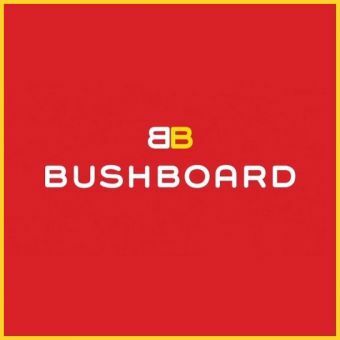 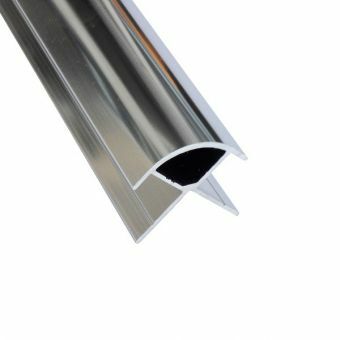 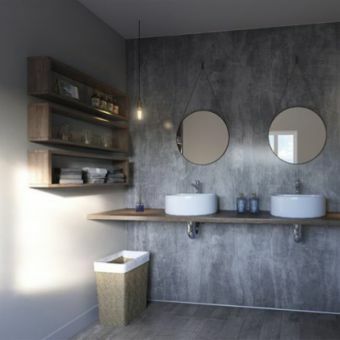 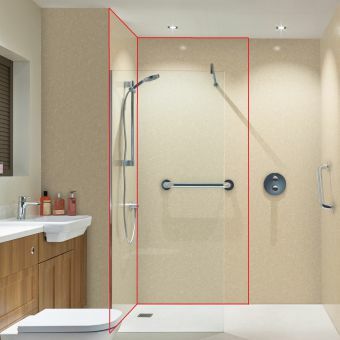 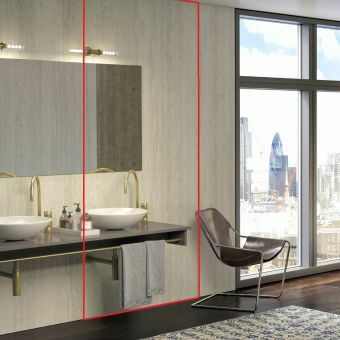 The Bushboard Nuance Postformed Waterproof Shower Panels have one postformed edge – which means it is a smooth, rounded off finished edge, so no need for unsightly finishing strips that can ruin the look of your wall panelling! 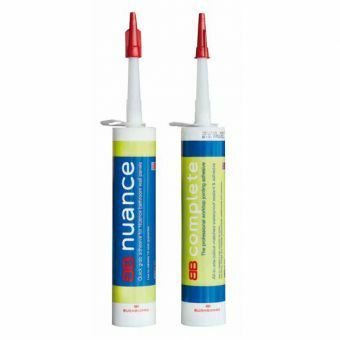 The other edge is tongue and groove and is designed to be joined to other tongue and groove pieces from Nuance, in addition with the matching Bushboard Nuance 290ml complete adhesive.